Dealing with snow in Alberta is no laughing matter. Every winter, the elements seem to team up against property owners, making life miserable for several months out of the year. If you are tired of the back-breaking labour that goes in to keeping your property passable, have a Gorilla do it for you! Our Wood Buffalo snow removal and salting can help keep your property working for you without making you work for it! 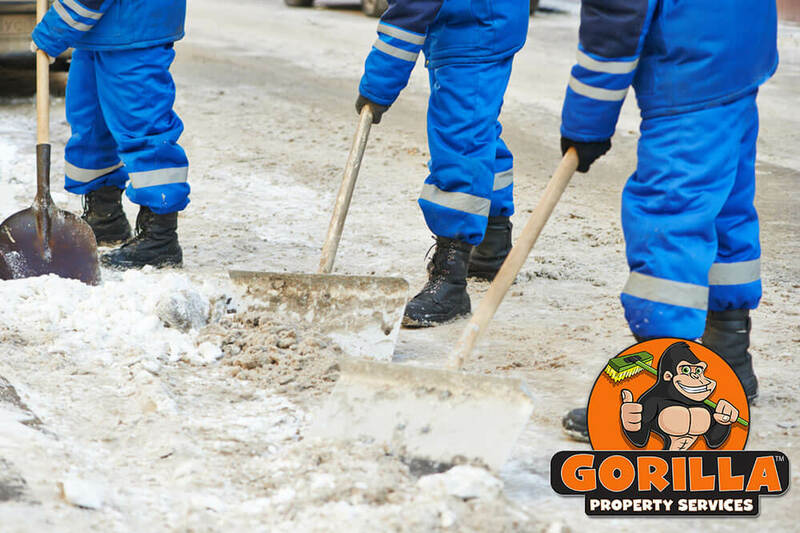 Stay cozy indoors while your friendly neighbourhood Gorillas take care of the heavy lifting for you with our Wood Buffalo snow removal and salting. The only thing that you can really expect from the winter season is that it is unpredictable. Weather patterns are hard to follow on a good day but tricky weather makes for tricky maintenance. All around the Wood Buffalo area, property owners are forced to go head to head with several feet of snow. Snow removal requires a lot of heavy lifting but ice can be even more dangerous. Trying to walk along ice covered paths can lead to slips, sprains and falls. Ditch those treacherous trails with some experts salting techniques. Our Wood Buffalo snow removal and salting keeps your home or workspace running both smoothly and safely. 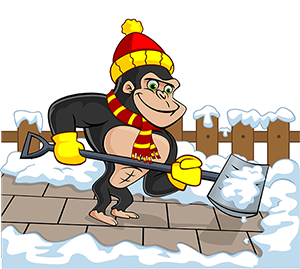 Wood Buffalo Snow Removal & Salting: Why Go With A Gorilla ? One of the biggest attributes that set our Gorillas apart from the competition is our dedication! When the winter season hits, there is never a time that our Gorillas don’t have eyes on the skies – and the weather network! By monitoring incoming temperature changes or storm fronts, our Gorillas are ready to handle anything that comes our way. If winter weather and snow fall has crept up on you, our Wood Buffalo snow removal and salting is available for 24/7 emergency call out services as well as regularly scheduled maintenance. The majority of snow fall occurs overnight but having it removed does not mean that you need to lose sleep. Our Gorillas are able to operate quietly with by-hand removal methods like shovels. During the daylight hours, snowblowers and ploughs can handle larger or multi-unit areas.